The vast expanse of the deserts poses a challenge to the spirit of adventure. In this Safari Tour you will ride the desert kings and able to explore the deserts, the royal palaces, the mighty forts and temples of Rajasthan. The Camel Safari Tour will start in the deserts of Jaisalmer and then continue with Badabagh, Baisakhi, Ramkunda, Roopsi, Ludharva, Chatrayil, Salkha, Kanoi, Masoordi, Jessieri, Dedha, Deegasar, Kuldhara, Amarasagar, Moolsagar, Jodhpur and Jaipur. Explore the small villages of Rajasthan through the enthralling camel safari. Camel Safaris at the top of this ship of the desert is most exciting and soft adventure. Some people consider camel safari to be easy but its not. It is neither a great test for endurance. It is a unique way to explore The Thar - a pulsating desert inhabited by colorful and hospitable people. Rajasthan desert Safari takes you through breathtaking sand dunes with friendly folks, camping on the solitary oasis, enjoying the dark starry nights and jiving to musicians playing a haunting, stringed instrument. The experience is simply out of the world. Popularly known as the ship of the desert, Camel is the only means of transportation in remote areas of Thar desert. Safari in Rajasthan these three words are sure to cause your adrenaline flow faster, even in your imagination. The land of golden sands and imperial heritage have hosted a number of successful safari voyages participated by adventure loving tourists coming from different parts of the world. Be it the wilderness of jungle safari or the infinite camel safari, Rajasthan is always ready to woo you with its bouquet of variety. 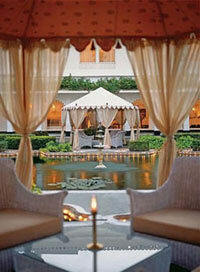 These numerous safari options makes evident that Rajasthan is one of the most savoured destination in the world. Let us put some light on the various safari options in Rajasthan. The most popular and obvious safari to explore the bewitching beauty of Rajasthan is the Camel Safari. Known as the 'ship of the desert', the camels will take you to the remotest parts of the Thar desert, where you will find yourself at the threshold of a never explored wonder land. Get down from your camel for once, stand apart and see the serpentine caravan you are in; you will definitely be searching for your camera to catch the moment to stay forever. Sleeping under the twinkling stars with gold like sand all around you gives you the most cherished experience of your life. Camel Carts are very common mode of transportation in the rural Rajasthan, where a wooden cart is drawn by the camels carrying people and their baggage from one village to another. You may experience the fascinating charm of travelling in this rural vehicle and also mingle with the local villagers while getting lost in the aroma of nature. Sometime on the sand and sometime on the pebbled road, this caravan is going to be an experience that will become a treasure. Another way of experiencing the magic of the desert is through Jeep safaris. Desert jeep safari can prove to be most exciting and rewarding of all the safaris that you have undertaken. After all, going through a rugged terrain on a desert is not the kind of experience that you can have every other day in your life. Horse Safari is another way of covering the desert. Horse Safari in Rajasthan is one of the best ways to experience the royal grandeur of Rajasthan during your travel. Known as the 'land of kings', fearless warriors and beautiful women, Rajasthan is also famous for its forts, palaces and temples which are a reminder of the royal past.